Chickens! This song is a Spanish song about chickens pecking (pio! pio!) and about the mother hen who protects them. 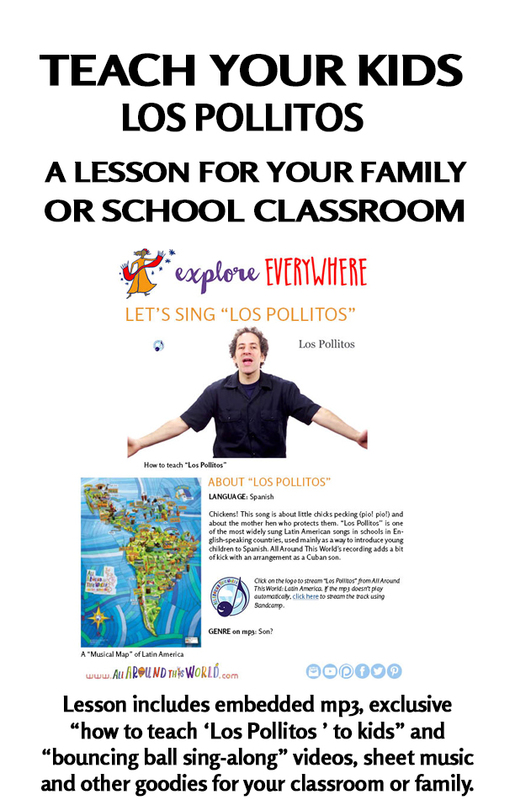 “Los Pollitos” is one of the most widely sung Latin American songs in schools in English-speaking countries, used mainly as a way to introduce young children to Spanish. 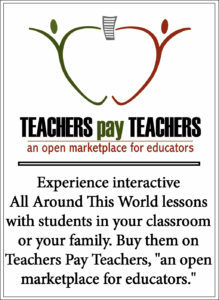 All Around This World’s version adds a bit of kick with an arrangement as a Cuban son. All the little chicks say pio pio pio when they are hungry and when they are cold. Mother chicken looks for corn and wheat. She will give them shelter and something to eat. Under mama’s wing the little chickens keep, until the next morning they are all asleep. Los pollitos dicen pío, pío, pío, cuando tienen hambre cuando tienen frío. La gallina busca el maíz y el trigo, les da la comida y les presta abrigo. Bajo de sus alas, acurrucaditos. duermen los pollitos hasta el otro día!